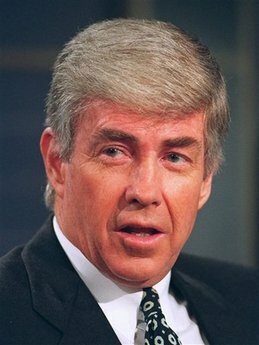 The Associated Press's obituary on Jack Kemp continued two troubling trends found in recent AP death notices. In July of last year, covering Tony Snow's passing (saved here; covered at NewsBusters here), AP reporters found seemingly everything negative they could think of to write about the former White House press secretary and 2008 Media Research Center Buckley Award winner (examples -- "good looks and a relentlessly bright outlook -- if not always a command of the facts"; "questioned their [reporters'] motives as if he were starring in a TV show broadcast live from the West Wing"; "[he turned] the traditionally informational daily briefing into a personality-driven media event short on facts and long on confrontation"). The wire service also saw fit to include Snow's salary when he was at the White House. In a March story about a tragic plane crash in Montana that took 14 lives, including seven young children, the AP just had to tell us that the plane's occupants had been en route to a skiing "retreat for the ultrarich." A later report referred to their destination as the "ritzy Yellowstone Club." AP's otherwise well-written obituary on Jack Kemp continued both trends. His style didn't win over everyone. In his memoirs, former Vice President Dan Quayle wrote that at Cabinet meetings, Bush would be irked by Kemp's habit of going off on tangents and not making "any discernible point." Kemp's rapid and wordy style made the enthusiastic speaker with the neatly side-parted white hair a favorite on the lecture circuit, and a millionaire. Why either the Quayle item or the millionaire reference was necessary is beyond me. Somebody needs to remind Apuzzo, Thompson, and the rest of AP that you really don't take it with you when you die.